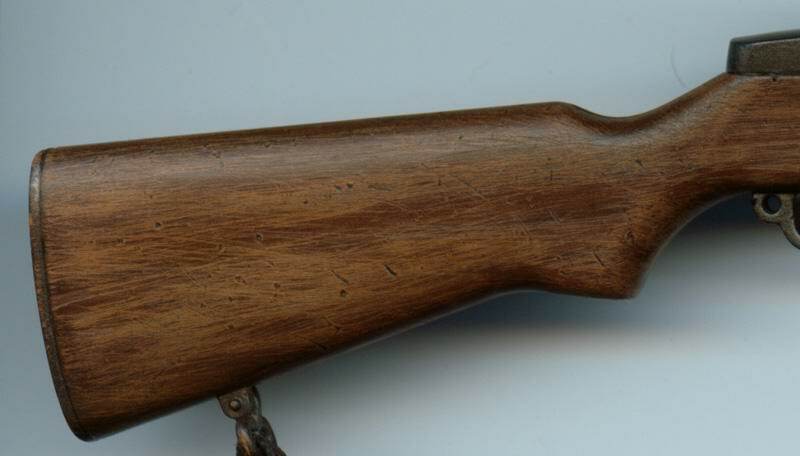 The rifle is originally a shiny thing with an attempt to simulate wood grain. This is not realistic but don't forget this is a mass market product. My main objective was to remove this shiny appearance. First, you need to add some "natural" marks on the wood. You should find useful tools in your tool box or in your kitchen drawer. I also use intensively a seewing pin to add multiple small holes. Proceed randomly varying the intensity of the taps. Take care not to break the rifle ! The BIG part of the process ! The final result will depend of your skill on this step. You only need the sand paper. Cut a small piece (see picture) and cut it tidily. It will be easier to use if there is clean 90° angles. The objective is to remove partially (NOT COMPLETELY) the original paint. 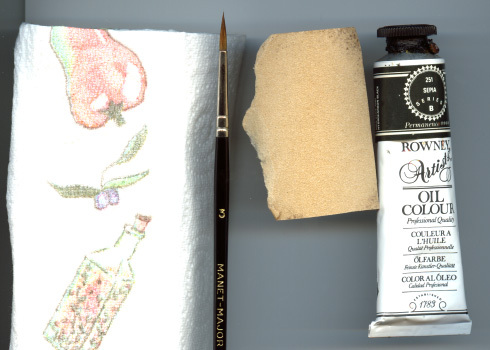 By using sand paper, the dark brown will be removed and you'll see a lighter paint appear. This simulates wood grain better than anything ! - Above all : proceed with care ! Don't press too much on the sand paper or you will remove both the dark and the light paint and this is black plastic below. Yet, don't panic if it happens, this gives more realistic appearance when it happens sometimes and on very SMALL area. Wow ! This is the end of Step 2 and it already looks like wood ! 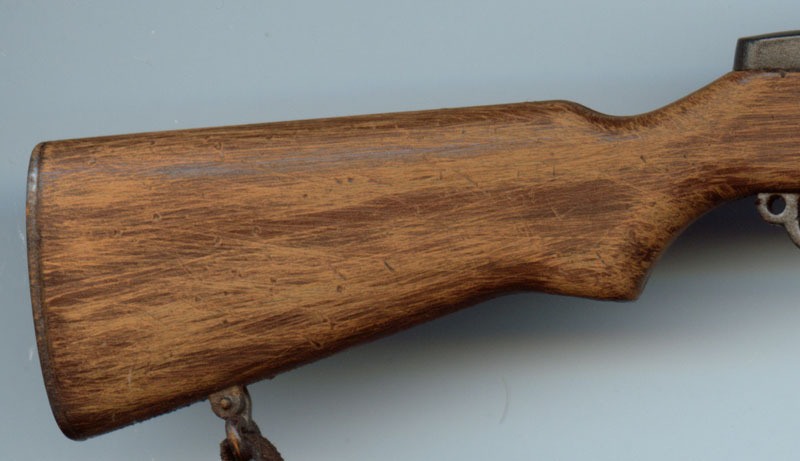 Now, you need to paint the rifle with the Rowney SEPIA oil paint. I guess, this also gives good results with other brown shade. Sepia is my prefered one. Oil paint is required here because of its transparency property and also because it has the perfect shine to simulate wood. The way you apply the paint is not really important there, though it is recommended to proceed horizontally. The main important is to let the paint go into the holes and wears you did in the first step. Then, remove the excess paint with the paper towel. 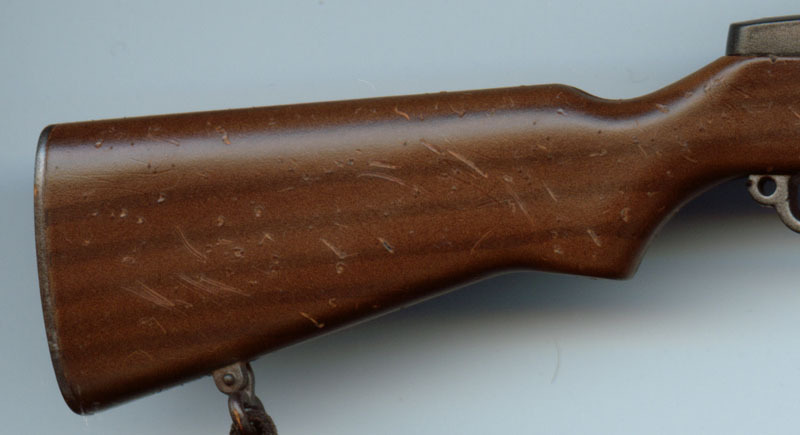 Don't hesitate to GENTLY wipe the rifle with the paper towel, it will enhance the lighter parts of the wood and the holes will stand out better. Let the weapon dry during a night. Depending of the shade you want, you can then add another coat of pain, wait another night, then sand gently again to enhance contrast between dark and light area, whatever you want until it matches your idea.